This month’s postcard swap I made for the theme of Diamonds are a girls best friend. 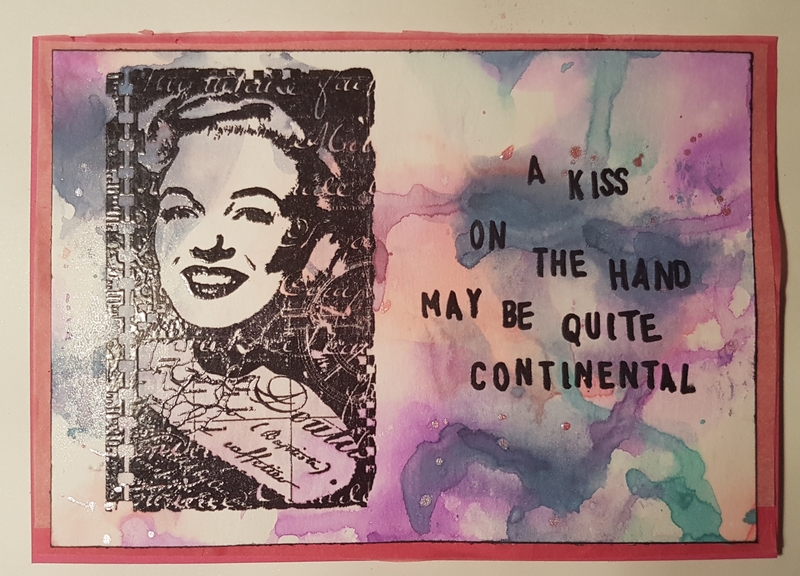 I chose this stamped image of Marilyn Monroe from a Paperartsy stamp (not entirely sure that it is Marilyn but it is very similar and so for me… this is her!). I stamped it in Versamark and then heat embossed it. Once I had heat embossed it. I then added distress oxides using the wrinkle free distress technique. I then added some splashes of mica spray. I then stamped the sentiment and heat embossed that too. I mounted the panel on tissue paper in pink colours and then the bright pink cardstock. Hope that the recipient liked what I did!